Spicy Chicken Meatballs are zesty bites of deliciousness that will spice up your next game day or holiday party. 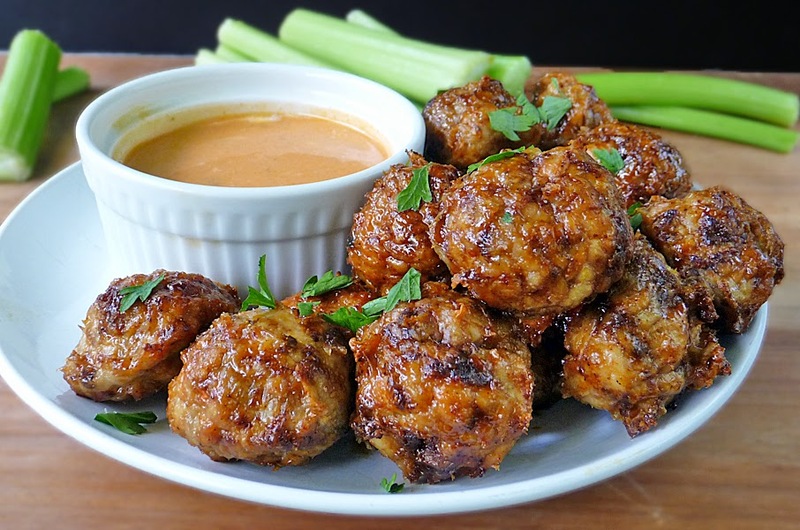 I brushed these meatballs with a honey glaze for a sweet heat, and the Buffalo Ranch Dipping Sauce is an added bonus that takes these scrumptious meatballs to a new level. You'll love to serve these meatballs as an appetizer, but they are so good, these meatballs can hold their own as a main course! Don and I hit the road to visit Madison several times throughout the year while she's off at college. On one of our recent visits, Madison took us to her favorite spot to eat wings. The kid has good taste! 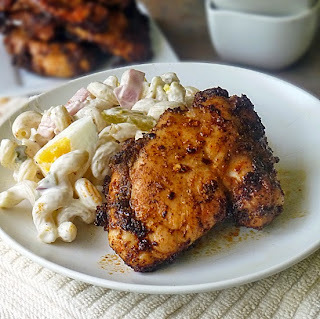 The wings were delicious, and Don goes on about them every time I serve my Honey Glazed Spicy Chicken Thighs. He has badgered me ever since our college wing eating trip to make some of the boneless dippers with the same seasonings as my Honey Glazed Spicy Chicken Thighs. I finally got around to it! Because Don wanted boneless dippers, I made meatballs and they turned out great! We dipped these sweet and spicy meatballs in a Buffalo Honey Ranch Sauce, but they are good all on their own too! 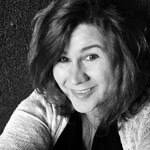 I am a contributor for Real Housemoms which means I share one of my recipes with the readers of Real Housemoms each month. This month I chose to do an appetizer and shared my Spicy Chicken Meatballs, so pop on over for the recipe and check out everything Real Housemoms has to offer! Love these meatballs! I know that glaze makes them awesome, can't wait to try these! That glaze is so simple to do, but it adds such a nice touch to spicy things. Thanks, Mary Ellen! Heading over to check out the recipe! These look so wonderful, Marion! 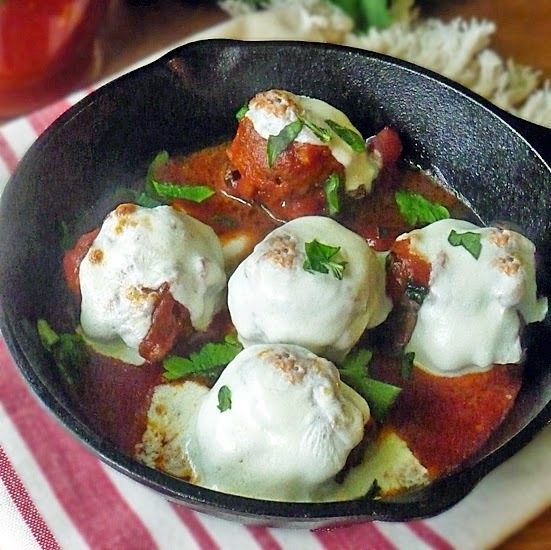 I am so in love with these meatballs - they look amazing! Thank you, Erica!! We really loved eating them haha I'll be making them again soon for the kid when she's home from college in a couple days :) She can't wait to try them! Love these meatballs! Swing by Real Housemoms to check out the ingredient list! Great! Thanks so much, Sandra! Thank you Madison! I mean seriously. My stomach is growling and these look fantastic. 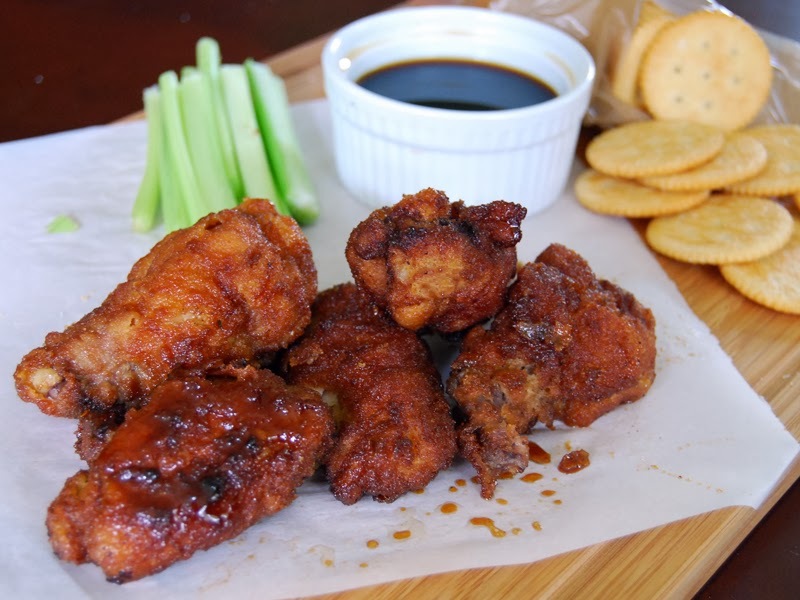 I am loving the glaze and the dip sauce, and I am not waiting til game day to try these! haha I hope you like them, Rachael! They are really loaded with flavor and that dipping sauce is almost too easy and so delicious!! These meatballs look and sound out of this world! You are so creative Marion. I want to eat at your house every day! HA! I'll feed you whatever you want if you come visit me!! Oh meatballs! How I love them so! These look wonderful, I love that they are brushed with a honey glaze. I bet they taste just as yummy as they look! I do too! I don't make them nearly enough, but clearly I need to start making them more often and lots of different varieties. These have been very popular haha. Thanks, Yvonne! 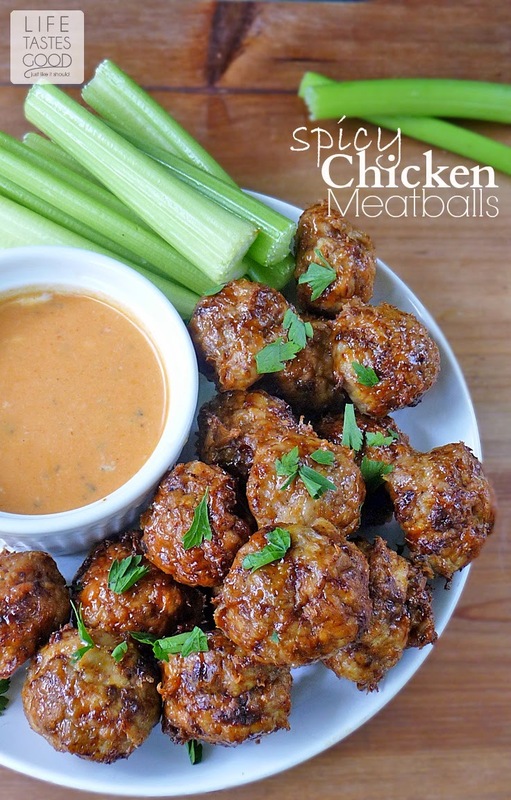 Every time I see these gorgeous meatballs, I crave them! lol I need to make these very soon!